Starbound is a 2-D sidescrolling extraterrestrial sandbox adventure game. For the game, I created a lush ambient orchestral score filled with memorable themes and intimate, touching moments. From the pulse-pounding excitement of a boss fight to the lone exploration of a forgotten moon, the Starbound OST is powerful and unforgettable. Earthlight is being developed in collaboration with several different space agencies with a prominent relationship with NASA and their laboratories. Grow your own farm, meet the villagers, and join friends online to build your world! Staxel is a multiplayer, farming, sandbox game that is currently in development. For Staxel, I created a lush electronics-heavy score that's light and fun, with an emphasis on hummable tunes and soothing piano motifs. Plukit BV hereby grants permission for the use of in-game audio & video for "Let's Play", "Preview", "Review" and/or "Commentary"-style videos, including ad-supported channels/videos. The creator of the video may use in-game audio & video for as many videos as desired. Please include a link to www.playstaxel.com OR any online store selling the title involved. Specific permission is required for any soundtrack use outside of captured gameplay. Zarkonnen's steampunk RTS needed a manic, industrial sound to compliment the pulse-pounding realtime combat his 2-D strategy combat simulator. Using a unique instrumental palette that includes ratchets and didjeridoo, my score for Airships is sure to get your foot tapping and your mouse clicking. Interstellar Rift is a 3-D Sci-Fi action adventure game where players design their own ships and use them to harvest resources, travel, and fight in a futuristic universe. In the soundtrack to Interstellar Rift, I created music for building and ship construction, music for combat, individual faction tracks, and a cinematic theme to unite the whole score together. For Spunge Games' addictive iOS racer, I composed an overarching theme and a series of unique, loopable tracks for different game environments. 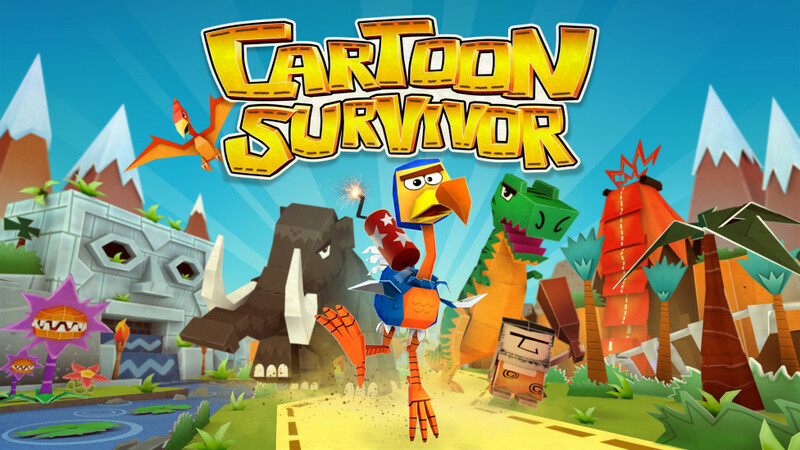 From the arid deserts of the Cretaceous to mysterious Mayan jungle palaces, my music for Cartoon Survivor will keep your feet and fingers tapping.